The Instagram explore page is a section on Instagram with popular post tailored to suit your liking. The explore page highlights posts from people whose posts you’ve liked, posts from similar accounts to the ones you follow, and posts with high engagement. If you are ever looking for new accounts to follow and posts to love, then the Instagram explore page is the place to go! Where can you find it? When you open the app, click the small magnifying glass at the bottom of the screen! We’ll take you through everything you can expect from the Instagram explore page. Instagram’s trustworthy algorithm means that the app knows what you like to see. You can trust that visiting the explore page will only fuel all your loves and interests on Instagram! 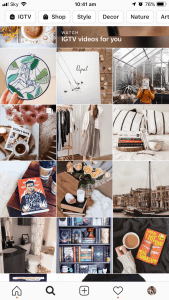 For example, if you like lifestyle, bookish and fashion accounts, the Instagram explore page will suggest some new posts for you in those categories. The Instagram explore page makes it super easy to discover amazing new accounts amongst the 1 billion people that now use Instagram. Simply click on a photo to be taken to the original post where you can like, comment and follow the account. Within the Instagram explore page, there are lots of subcategories! For example, there is an IGTV category. IGTV is Instagram’s streaming service, a bit like YouTube, but ingrained into the app. 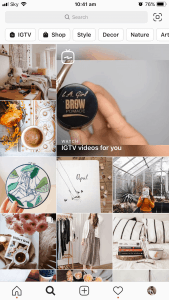 When you click the IGTV tab, it will take you straight to IGTV where it will give you suggestions of videos based on your interests, who you follow, and what’s popular. IGTV videos can be ten minutes long. 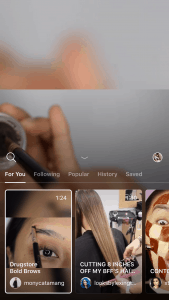 Instead of sharing posts and videos where the length is extremely limited, Instagram users are taking to IGTV to share longer videos with their followers. The shopping tab is a very new addition, but a really exciting one! 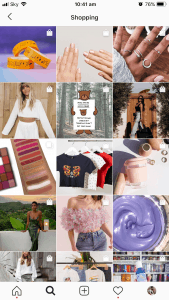 Instagram is definitely making it easier to do everything all in one place: see photos and videos, watch IGTV, chat with friends, share stories and now, shop. When you click on the shop tab, you will see lots of shopping bag icons in the corner of each picture. This means you can shop directly from the post. Click on a photo and then click the actual image. A small box will appear with the name of the item and the price. For example, these Pumpkin Tasties, Harry Potter inspired candles, are $17. If you like the look of a product, just click that black box and go to a separate page for that store’s products. From there, you can view the products on their website where you can purchase the item. This is definitely going to help brands get discovered as they can now easily be featured on the Instagram explore page! At the top of the Instagram explore page, you can scroll left and right for more categories. These are categories that Instagram believes you will be interested in. Some of these topics might include DIY, travel, beauty, music and more. It’s definitely great that Instagram filters these categories for you! Someday, you might be on the hunt for new accounts specifically on comics, and now it’s possible! Of course, if you don’t like seeing a certain type of post, you can control that. First, click on the photo you don’t like. Next, click the three dots. Then, click “See fewer posts like this”. Instagram hides the post and promises to show you fewer posts like that from now on. 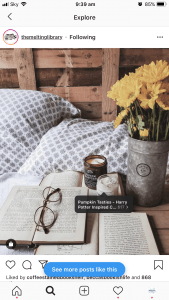 What a great way to control what you see on the Instagram explore page! Of course, you’re wondering how to get on the Instagram explore page. You’ll see that the posts on the explore page get a lot of attention on Instagram! Here are a few posts from our explore page right now. This post had 3,434 likes, compared to the usual 1,500 this account usually receives. Plus this account has less than 2,000 followers so to be getting more likes than their followers is really an awesome achievement! When you get on the explore page, Instagram pushes your beautiful photos out to even more people. Curtindo um solzinho parisiense☀️quem diria heim! Logo eu que não gostava de ficar no sol! E se preparem que hoje tem mais vlog e em breve novas aventuras! Botinhas: @amowishin 🌿enjoying the parisian sun! And soon, new adventures! As well as getting more likes than usual, if you’re featured on the Instagram explore page, it can help to maintain your space on Instagram. This account gets the same likes for pretty much every photo, but when she is featured on the Instagram explore page, it helps her to reach those same numbers. Finally, you don’t have to have lots of likes feature on the Instagram explore page. Simply knowing your followers can help! This photo only has 400 likes, but it featured on the explore page because Instagram knows what kinds of accounts follow this account. Therefore, it shows the pictures to people with similar interests. You can’t control whether or not you get on the Instagram explore page, but you can certainly increase your chances. If you post a random assortment of events in your life, Instagram won’t know who to show your posts to. For example, maybe one day you post a picture of your dog. The next day, it’s a selfie. The following day, you might post a picture of your morning coffee, followed by a post of the sunset. There is no theme to this Instagram account so your followers will definitely vary. 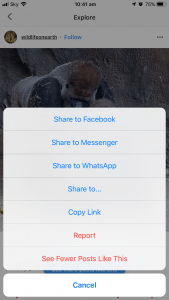 Thus, Instagram won’t know what kind of audience to share your posts with. However, if you keep a strong Instagram theme that focuses on one or two different categories, Instagram is more likely to feature you on the Instagram explore page. For example, this post is one of the firsts that appears in my explore page. Swannandtheberries focuses on photography and fashion, two things which appear in a lot of accounts I follow. Therefore, it’s easy for Instagram to target me when it comes to this account! But it’s also easy for Instagram to promote this account since it has a clear agenda. So, definitely focus your pictures on one or two main themes to help Instagram find your target audience. 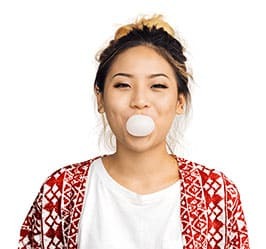 Another great way to find your target audience is with a little help from Upleap: an account managing company which will assign you with a dedicated member of their team. Your account manager will help you target the right audience for you, build your brand and grow your online presence. Click here to start your free trial now. It’s a common theme that pictures that appear on the Instagram explore page are those that are already popular. If a post is going viral, Instagram will put it on the explore page so even more people will see it, therefore increasing its popularity. The best way to increase your engagement is to be active and engaging on Instagram. Tip: When you post a photo, make sure it’s at a time when lots of your followers are online and that you ask a question to increase the chance of your followers commenting! One of the first posts on my Instagram explore page is one that already has 120,000 likes. Of course, this post is doing extremely well which makes it more appealing when people are scrolling through their explore page. So, make sure your posts have the best chance of high engagement to make it onto the explore page! Finally, make sure that your photos are of high quality to increase your chance of being featured on the Instagram explore page. When you scroll through your explore page, it’s clear that Instagram features lovely, high-quality images. Make sure that every time you post it’s a photo that you are proud of, looks great and is of high resolution. 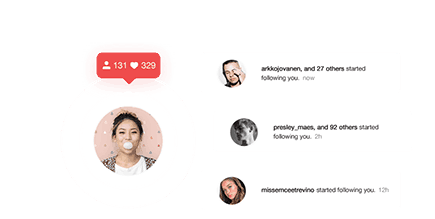 Of course, you’ll be wondering whether or the Instagram explore page featured you. Some Instagram users get insights into this but this is a feature that hasn’t rolled out into all accounts yet. 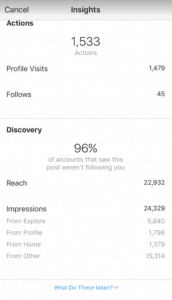 If you have a business profile, you can view your individual insights for each post where it might say how many people discovered your account from the explore page. Otherwise, your stats might only read “other”. This takes into account impressions gained from people sharing your post, saving it and discovering it in the explore page. The easiest way to know though is if your picture got more likes than usual, and for a longer period of time. Now that you know everything there is to know about the Instagram explore page, we can’t wait to see your posts appear there soon!